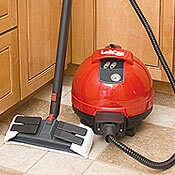 Vapor steam cleaners provide chemical-free cleaning, utilizing water alone to safely clean and disinfect surfaces. Choosing which vapor steam cleaner that is right for your cleaning needs can be a daunting task since there are many options to choose from, so we have chosen the best vapor steam cleaners in our selection to make it easier for you. Whether you need a dry steam cleaner or steam mop to use in your home or a commercial steam cleaner to use in your business, we have something for you. 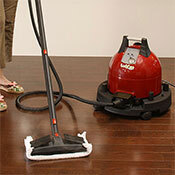 Read our expert reviews for more-detailed information on each vapor steam cleaner.